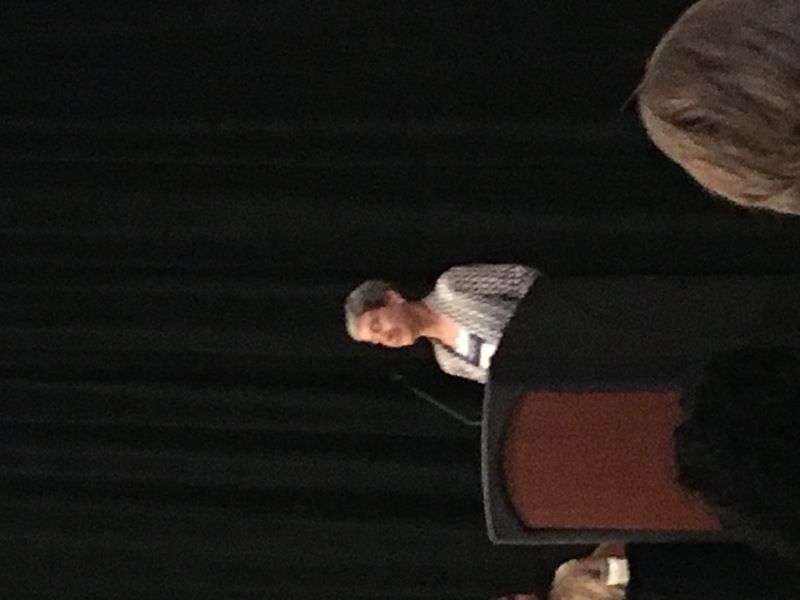 Recently I was fortunate enough to attend the Virginia Association of School Librarians (VAASL) conference in Norfolk, VA. The conference took place over the course of three days with a wide variety of breakout sessions each day. Some of the sessions were for professional development while others were to help guide new librarians, such as myself. I learned about great apps to use with students in math and science, the importance of diverse books in the library, how to create student centered libraries at the elementary level, ways to engage students in the library, the importance of inquiry based learning, the future of school libraries and these were just a small fraction of the numerous breakout sessions available to attendees. 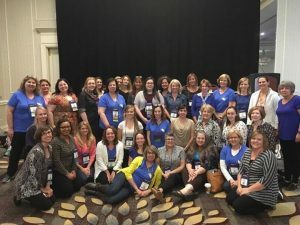 There were amazing authors who shared their love of writing and books with us, and also keynote speakers who engaged us and talked of the future of school libraries. It was an honor to be able to attend this conference and be amongst this awesome group of individuals. I look forward to attending many more conferences in the future and continuing to learn and grow professionally from this group. 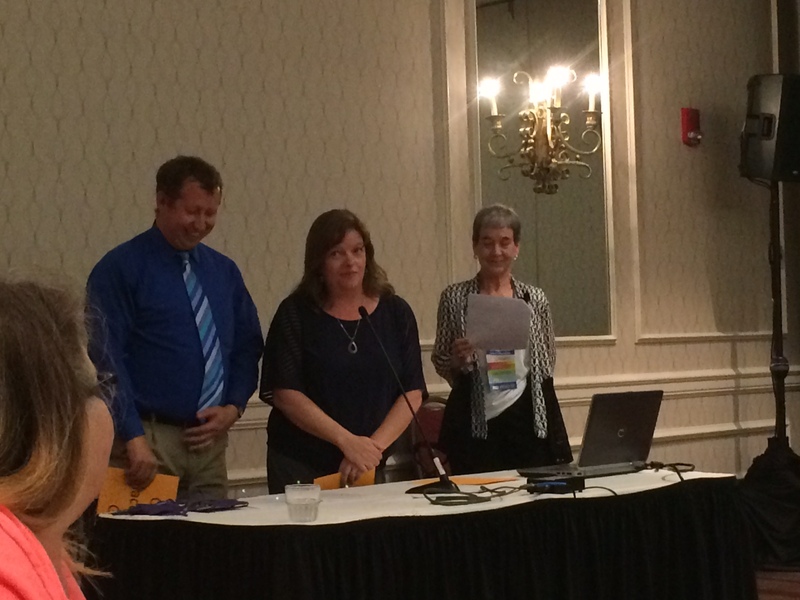 The VAASL conference was a wonderful experience and I am so grateful for the opportunity to attend. I learned: how to access and view 3D Civil War photographs as primary sources, how to take a Virtual Field Trip, about the 1939 Sit In at The Alexandria Public Library, that a new book Shadow House, has an app to accompany the book, the power of conducting a Mock Caldecott award in my classroom or library, that two anonymous copied WalMart receipts can be used as primary sources, Encyclopedia Virginia has free lesson plans created by ODU students, to provide a copy of free wifi spots in the area around my school to my students, and that Google Cardboard combined with Encyclopedia Virginia and the StreetView app is a mindblowing experience! 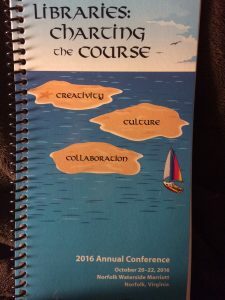 One other interesting thing I noticed – when I have attended conferences with teachers in the past, the acquisition of handouts can be a cutthroat experience. At VAASL, if a presenter ran out of handouts, someone with a handout would say, “Here take a picture of mine.” Interesting, right? 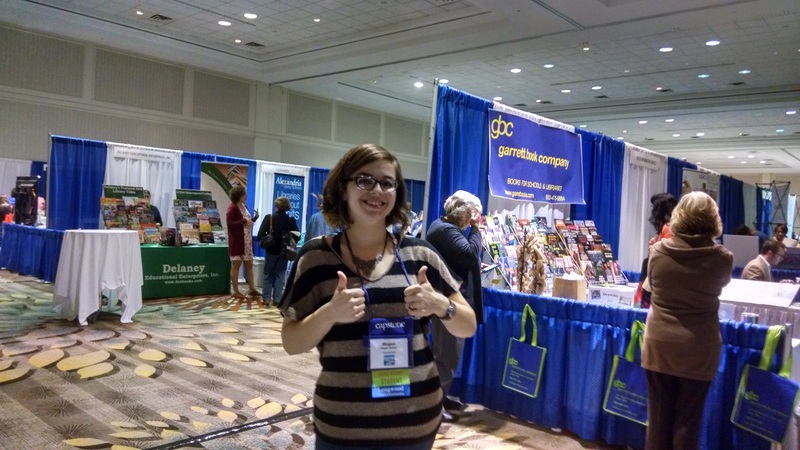 This was my first time attending VAASL and it was a super experience! 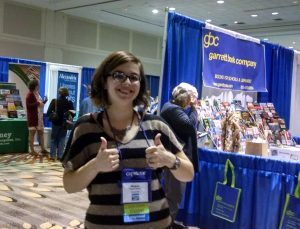 I loved meeting other librarians from the county in which I work as well as other librarians from the state. Each session I went to was stupendous! What a wealth of knowledge and expertise there is amongst this group of people. My big take away from the conference are ideas of how to get Maker Spaces started in my own library, but I also received some realistic feedback of some challenges I may face when first starting with Maker Spaces. I had a great time at the Longwood reunion. How fun it was to see how many people went through Longwood’s SLIB program. The tribute to Frances was so sweet! She has been such a treasure to me as I have gone through the SLIB program. She will be missed. This conference allowed me to learn more about my profession, gave me new ideas to implement and time to fellowship with colleagues. I will definitely be attending VAASL next year. 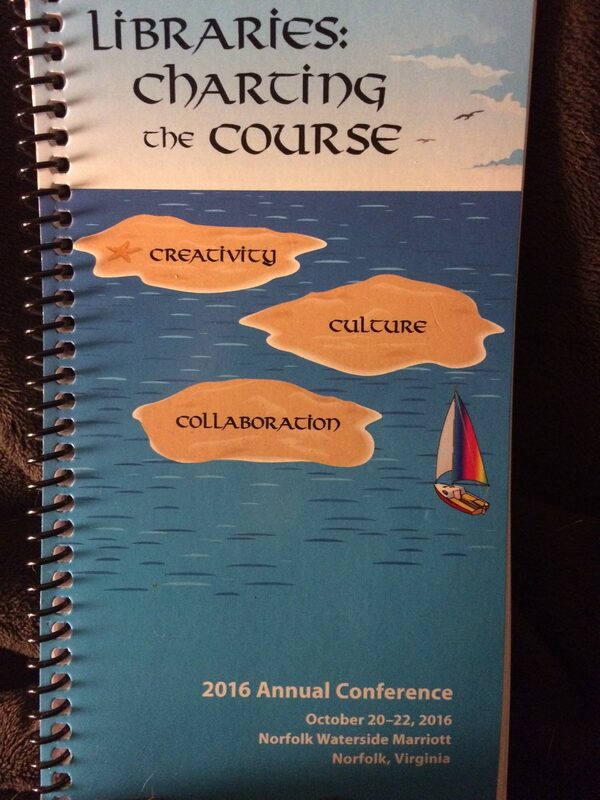 I left the conference excited to implement many new strategies and programs with our students. 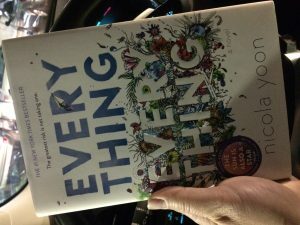 There was a lot of talk about advocating for the library with the changes brought about by ESSA. I made sure to fill out the VADOE survey and posted it to my Facebook page, and this posting received 13 shares. And I felt empowered! Longwood represented strongly at this conference. I am working in my first year as a full-time librarian for Prince William County, while finishing my course work in the School Librarianship Master’s Program at Longwood. My principal is on the selection committee for the 2017-2018, nominated books, and is a huge supporter of the Virginia Reader’s Choice Program. She is thrilled that I am sharing the primary books with all students at our school or the first time this school year. I attended two different sessions that provided me with insights as to how to use these titles as springboards for generating interest in other similar books in our library. One of the sessions tied each book to specific Virginia SOL’s. In efforts to support our IB PYP program, I am looking for ways to highlight each of the learner profiles when it is evident in a Virginia Reader’s Choice nominated book. Another VRC session taught the ins and outs of the program, providing a timeline, the voting policies, and a lesson to use as a follow up. I will be teaching the fifth grade students how to create book trailers for each of the primary titles. I also attended a breakout session on using various programs with students to create book trailers. We will get these started in December. There was a session that was led by Ginjer Clark on engaging the reluctant reader through nonfiction texts. She is the author of a series of popular animal books published by Penguin Publishers. I got her information because she is based out of Richmond and is available for an author talk. Even though the session was basically a sales pitch for her books, I could appreciate her enthusiasm and could tell she puts on a meaningful event for her audience of students. I want to go over her prices and the program she offers with my principal so that we can keep her in mind for the future. One of my sessions ended early so I sneaked in on the tail end of a fun preview session. I was able to grab an extra list of 2016 new released titles and their links to the SOL’s. I placed it in my principal’s mailbox when I returned. I am scanning it for titles that we must have in our collection. 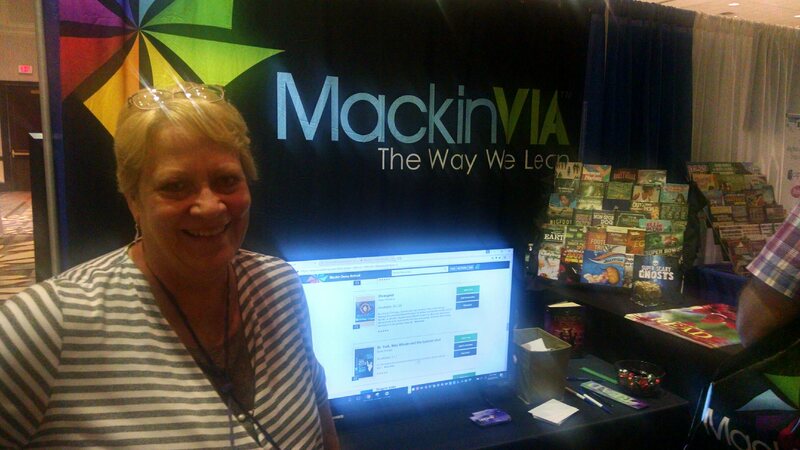 Our Prince William colleague, Carolyn Vibbert, demonstrated the value of gaming in the library. She encouraged us to dust off some good old-fashioned board games and card games to use with students. She also introduced some other games that were new to me. This served as a great reminder that playing games builds problem solving, communication, cooperation, and verbal skills. I am excited to encourage teachers to book the library for inside recess sessions when the weather does not cooperate. We can help students learn some iconic games that they can teach to their families. 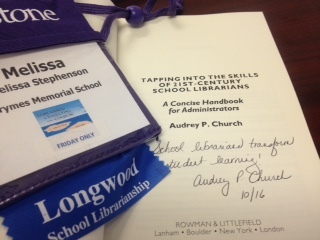 My favorite part of the conference was networking with other school librarians. 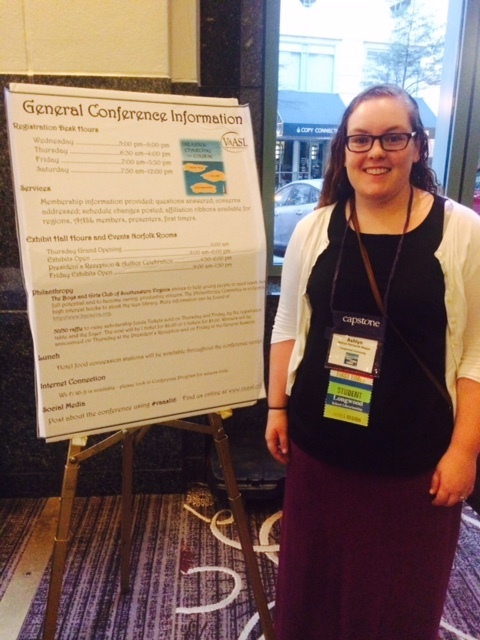 I loved having the opportunity to attend the conference where I could learn from others’ strengths and be encouraged. It was such a magical experience to see Frances honored for her years of service. It was obvious that she has made a lasting impact on all her students. I am excited to that next year it will be held in our neck of the woods at Westfield’s Conference Center. What a fun and informative few days. I knew of Mr. Schu before going to VAASL but I had never had the pleasure of hearing him speak. On Friday he was one of the many presenters so I thought it would be fun to go see what all the hype was about. I must say I don’t think I’ve ever met anyone who loves children’s literature so much. He truly brought the books to life and made my reading list that much longer. 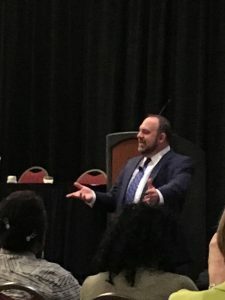 I was torn on which session to choose for my last one but after hearing that Audrey Church’s session was a conference favorite for the past few years it was a settled. We were flooded with so much information and I was introduced to new topics I had never heard of before such as ESSA. Good thing I went since I was the lucky recipient of Dr. Church’s new book. There’s nothing like leaving the conference with a prize! 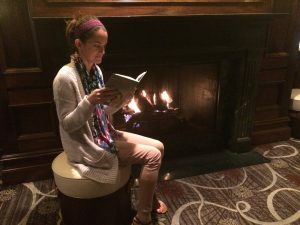 What a wonderful weekend at VAASL! I never imagined that the conference woul d be as large as it was, but I am so glad it was! Through the conference, I was able to connect with not only my current classmates whom I am only able to see during classes a few times a semester, but also with other students in other programs around Virginia, as well as current school librarians. The sessions were incredibly informative, including sessions about coding and robotics, current trends in school libraries, and digital citizenship. The most interesting thing that I learned at VAASL was that school librarians are beginning to be featured in school administration’s professional publications. This is something that has not happened a lot in the past and is incredibly important for the future of schools librarians. 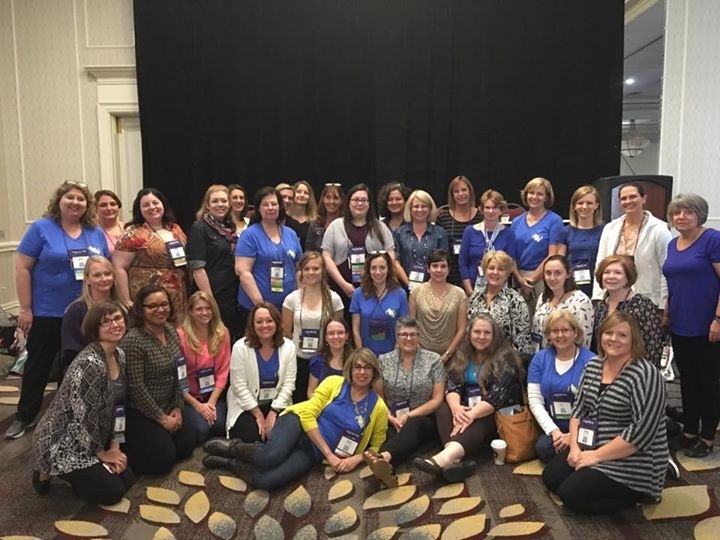 The world of school librarians is changing so drastically, I cannot wait to attend VAASL next year to see what has changed! As this was my first conference for school librarians, I was amazed at all the great information I took home in just one day. 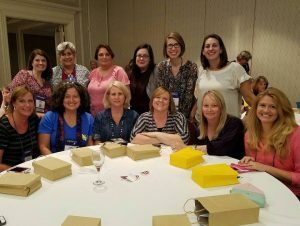 While my friends and family teased that this would be a conference of “Shhh-ers” and that I’d learn how to better dust the library shelves, what I actually found was a diverse group of personalities from around the state brought real-world ideas and solutions to school librarianship issues. 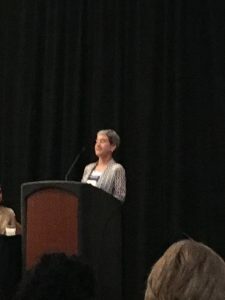 Our own Dr. Audrey Church (School Librarianship Program) spoke during the keynote ceremonies as the current President of the American Association of School Librarians (AASL). Keynote speaker Dr. Rob Fuhrman, a principal from Pennsylvania, gave us “10 principles for creating a reading culture.” In the many breakout sessions I attended, I came away with real-world strategies for bringing the VA Readers Choice books into library lessons, book ideas for boys who are reluctant to read, ideas for professional growth in our careers, and the best apps for teaching and learning. I filled pages of notes with great ideas that I can’t wait to put into practice! The culminating highlight of my day at the VAASL conference was the Longwood alumni gathering. It was inspiring to see around 150 alumni from Longwood’s School Librarianship program all gathered in one room, and even more amazing to see Dr. Church introduce us to each person in the room, announcing their name and location from memory! I look forward to attending next year as well! I really enjoyed attending a multi-day conference where I could “just be” with people who are working in a field that I hope to break into i n the near future. The Virginia Association of School Librarians (VaASL) conference was extremely well run and I left each day feeling like the sessions were well worth my time. I’m thankful that I was “forced” to go to at least one day of the conference for my SLIB670 class and I’m happy that I chose to attend more than one day. In the future I will make it a priority to attend the full conference. Some of my key takeaways from the sessions I attended include: collaborate with everyone, be friendly, set boundaries, listen, invite people in to observe and to help, enlist student volunteers, keep a daily/weekly reflection log, tell people what you’re doing in the library, and always talk to other librarians. 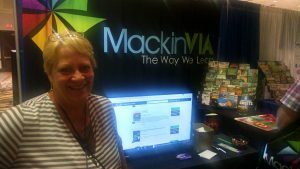 I learned about the twitter chats #VASL and #EdCamp, and also the ALA’s Best Apps for 2016. And lastly, I learned that John Schu is an amazing speaker with a big heart, and he really, really loves Kate DiCamillo. Reading by the fire at the hotel. Today was a fabulous day – best day by far! All the sessions were absolutely amazing. I began with the Junior Library Guild and their new releases for middle and upper grades. 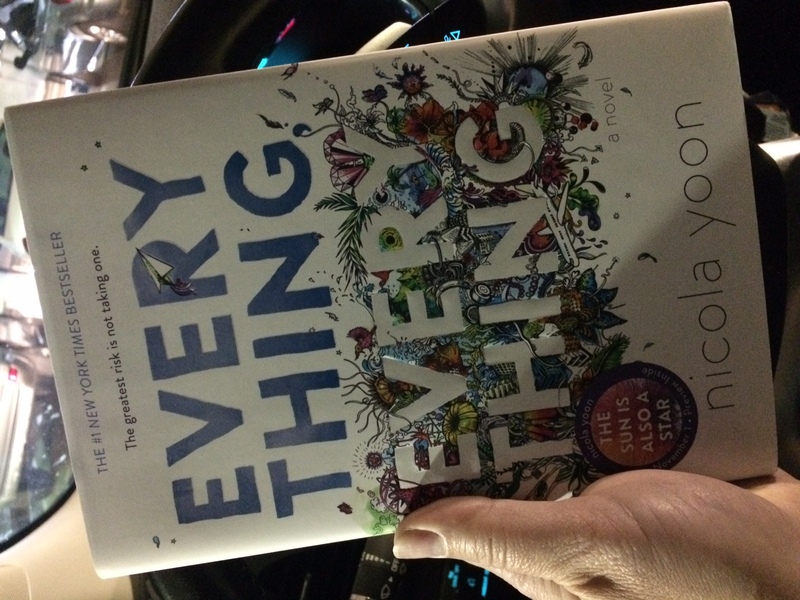 I need to figure out how to get advance copies of books – what a tease! My next session was sponsored by a math teacher aspiring to be a librarian and which Tech Tools we should integrate into the library to win over our math and science teachers. My poor math SALT must have received at least 5 e-mails from me during this session! Then we went to a session on Picture Books at the middle school level. I was especially excited for this session as November is National Picture Book Month, and one of my reading promotions is to get each content to use a picture book to support their lessons. The keynote speaker today was Mr. Schu – who is the fabulous library ambassador for Scholastic. What a dream job! 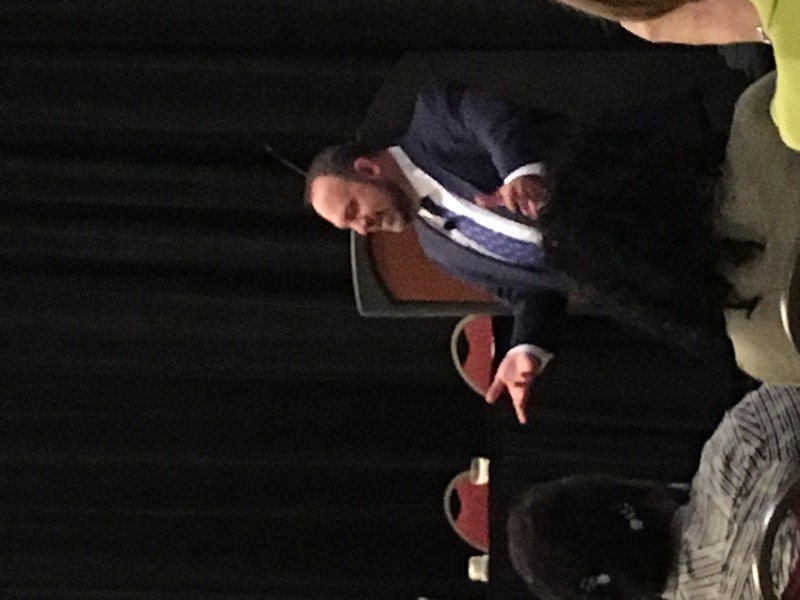 Such an amazing speaker, and he was able to create such energy in that room. Everyone should get a chance to see him speak! Short day today – only stayed for two sessions. 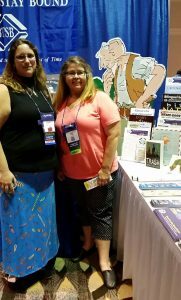 The first was on the Best Apps for 2016 sponsored by AASL. Many of these apps were new to me, so my principal is allowing me to use 10 minutes in a faculty meeting to share with our staff. 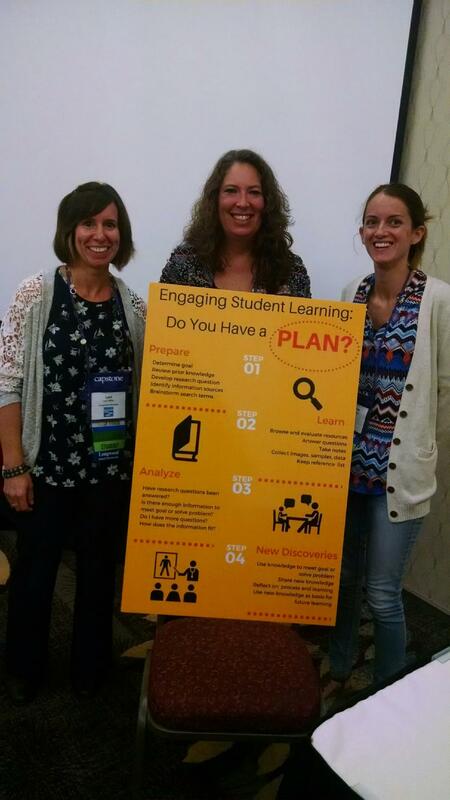 My second session was presented by two first year librarians. It was titled I Survived! Overall it wasn’t the best presentation, but I did win a free book! It did make me think about what I would want to share at VAASL next year if I were to present as a first year librarian. So glad to have had this opportunity! 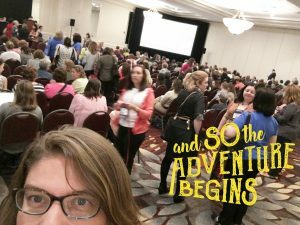 This was my second year going to the Virginia Association of School Librarians conference and it was even more enlightening than the first! The experience made my head swim with good ideas that truly energized me to enter the profession next school year (hopefully!) I got to play with robots in a STEM “petting zoo,” go on a virtual field trip to historical sites around the state with Encyclopedia Virginia, and work with 25 other librarians to crack the code of an escape room-style “break-out” box designed for sixth graders — which we solved at the very last second! I’ve already shared resources I compiled from the awesome concurrent sessions with librarian friends who couldn’t make it, because this stuff was too good to miss out on. Seeing all of the innovative things that Virginia’s librarians do in their schools is truly inspiring. Sometimes I worry that the “best practices” I learn about in my Longwood classes might not be feasible in the real world, but the 2016 VAASL conference showed me that school librarians really are the superheroes that the professors make them out to be!